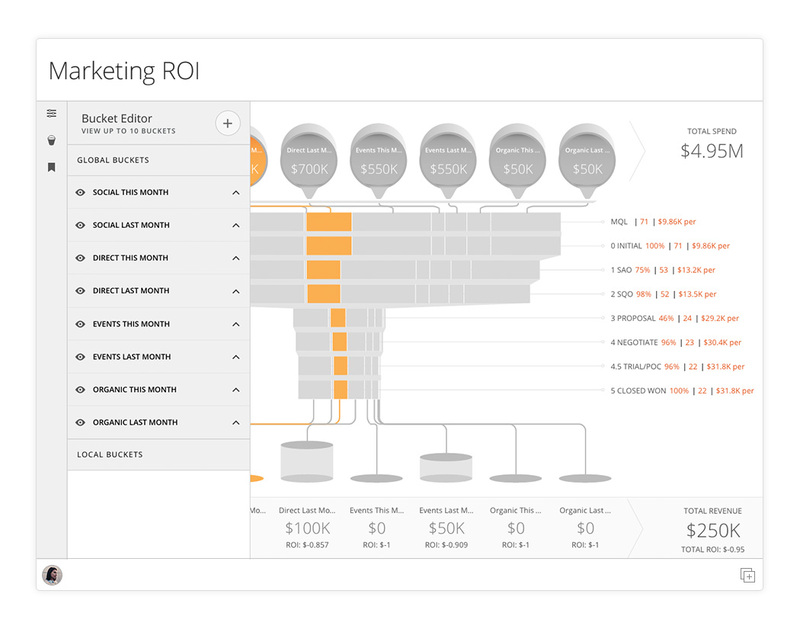 / App of the week: Marketing ROI. One of Domo’s greatest strengths is its versatility. No matter what department of a company you work in, Domo’s visualization and communication tools can help you gain a deeper understanding of the data points most critical to your success. This versatility is why we’ve decided to unveil our App of the Week series here on the blog. Each week, we’ll be highlighting a different application available in the Domo Appstore, to show our customers just a few of the ways they can customize Domo to fit their individual business needs. Last week, we kicked things off with an overview of our Retail Scorecard app. This week: Marketing ROI. 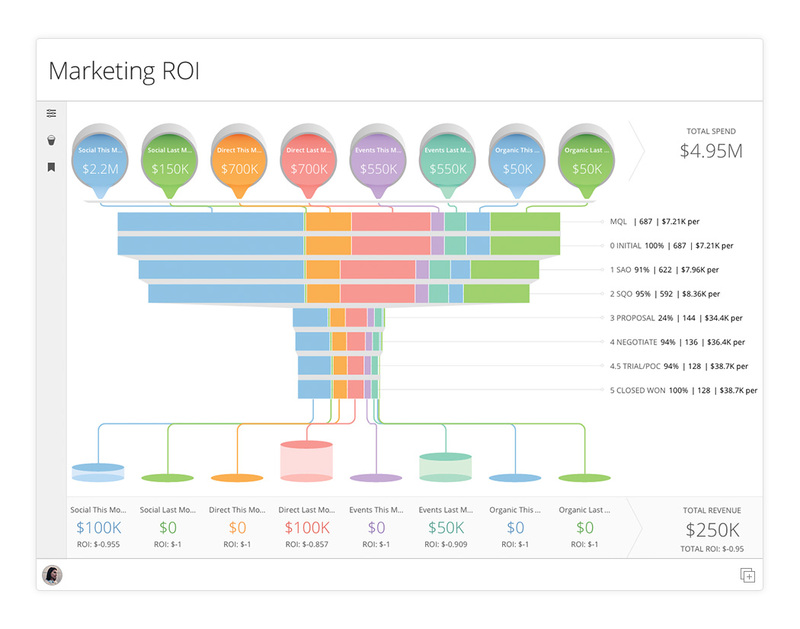 Marketing ROI helps you prove the success of your campaigns and make smarter allocation decisions. In today’s competitive digital environment, online marketers need to be able to prove to their CEOs that they are allocating budgets wisely and generating real results. But with so many different media channels in play these days, it can be extremely difficult to figure out which ad dollars or channels were actually responsible for generating sales. The Marketing ROI app solves this problem by allowing marketers to funnel data from all of the platforms they use into an intuitive, real-time dashboard. Instead of spending months cobbling together spreadsheets, app users can simply look at pre-built visualizations of the metrics that matter most: return on investment, sales lift, and lifetime customer value. And as with any of our apps, Marketing ROI allows you to dig deeper into the data with custom queries, and to set up email notifications for when key metrics hit a certain value. Most importantly, marketers can finally get a full, 360° view of their customers by using the app’s visualization tools to follow them through the entire purchase funnel—from the first engagement all the way through to the final sale. By separating these customer journeys by the channels on which they occur, marketers can see in real time whether their e-mail, social media, or display advertising is driving the greatest results. Domo leads marketers from insight to action. With these insights in hand, Domo’s collaboration tools allow you to communicate with team members and executives—right where the data lives—about shifting spend to the platforms or campaigns that are performing best. You can keep everyone abreast of the latest developments by sharing custom visualizations and get the ball rolling on next steps by creating new projects and assigning tasks.